February brings to mind many things to many people, whether it's the association with that Hallmark holiday Valentine's Day, Black History Month, or the primary reason jewelers are able to sell amethyst jewelry but it's not necessarily a month known as a box office bonanza. Following a strong January opening for 1990, could February continue the trend? It does have the potential with Academy Award nomination announcements and a four-day holiday weekend. So, let's dive into the guts of February 1990 and see how things shook out. For the first weekend of February 1990, a trio of films (a Bette Midler drama and two competing buddy comedy/action films) were introduced to audiences and didn't exactly set the box office ablaze or unseat Driving Miss Daisy from the pole position. 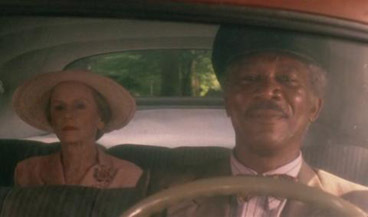 The acclaimed Jessica Tandy film earned another $6.0 million ($10.1 million adjusted to 2008 dollars). The highest-ranking debut was Stella, a Midler-drama right in her Beaches melodrama wheelhouse. While Beaches went onto earn $57 million two years before in 1988, for Ms. Midler, this one couldn't duplicate the success of that weeper. Fortunately, though, its tepid reception of only $4.3 million ($7.2 million adjusted) was enough to grab the number two slot. Audiences continued to line up for Oliver Stone's Born on the Fourth of July and Tango & Cash as both films only slipped 14% from the previous weekend to $4.0 million ($6.7 million adjusted) and $3.1 million ($5.2 million adjusted) for this weekend's third and fourth place. By doing the math, you have figured out that one of the debuts landed outside the top five. If you had to bet which one would at least be in the top five, would you put your money on a pre-Flatliners Kiefer Sutherland or a post-Glory Denzel Washington? Well, the smart money would go with the future Jack Bauer as he teamed with Dennis Hopper for Flashback, a hippie-FBI buddy film that rounded out the top five with $2.9 million ($4.9 million adjusted).